US Congress rejects emergency funding for the border wall, Trump launches "Veto"
The US Senate, controlled by the Republicans, rejected in a final vote on Thursday the emergency financing of the wall that builds Donald Trump on the Mexican border, delivering a bitter blow to the president who promised to respond with his first veto. At least a dozen Republican senators voted with the Democrats for a resolution, already passed by the lower house, which proclaims that "the national emergency declared by the President on February 15, 2019 (...) is hereby canceled". Defending one of the most emblematic projects of his presidency, Donald Trump announced that he would refuse to promulgate this text. US President Donald Trump responded with a terse "VETO!" On Twitter to this news. 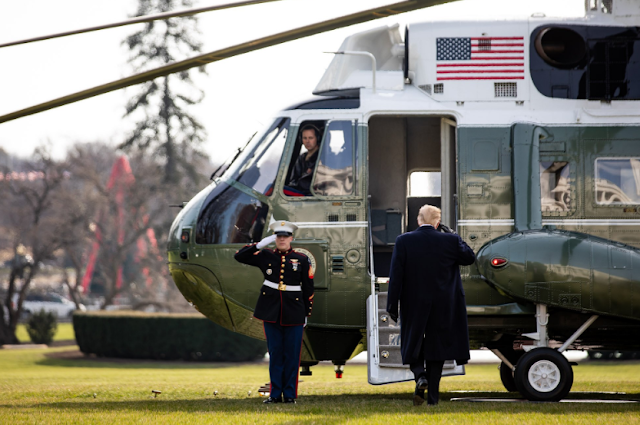 Donald Trump had announced in advance that he would draw the first veto of his presidency if a majority of senators approved the resolution contesting this initiative. This vote, obtained with the votes of 12 Republican senators, is a real snub for the tenant of the White House.